Note: The image effects aren’t loading for some pictures, I don’t know why. Also, I have more pictures up in the BlizzCon gallery. I’ll finish labeling and adding descriptions to them all later. 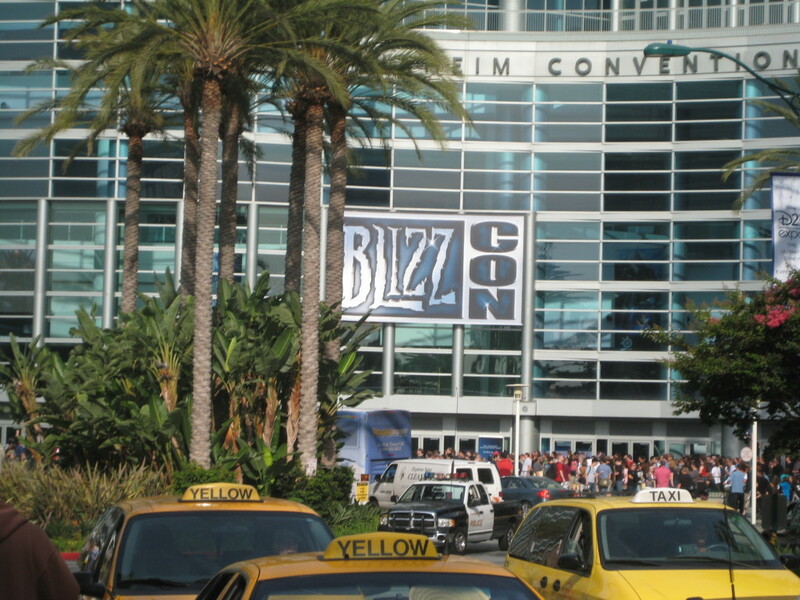 TL;DR: BlizzCon was a lot of fun, if you have the means and time I highly recommend it! Greatly looking forward to Cataclysm, Diablo III and Starcraft II. I’ll split this post up into two parts since it got kind of long. 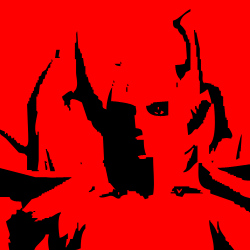 I’ll go over the convention in general today and then post general opinions on the Cataclysm tomorrow. I was going to do a rundown of all of the announcements, but I’m sure that has been done a hundred times over on all of the big WoW blogs. I am fortunate that I have family in the area willing to lend me their couch for an evening. In the future, I think that I will just go get a room Thursday through Sunday evenings at one of the hotels walking distance from the convention center. The place that I was staying was only 15 minutes away at most, but it would have been more convenient to have in-and-out privileges. Between not being able to come and go (without paying for parking again) as well as a generally busy con schedule (so much to do! ), I ended up missing a few opportunities to meet-up with some good buddies in the area. Parking wasn’t a problem at all. It was $10 at the Buzz Lightyear lot across from the Anaheim Convention Center on the eastern side of Harbor Boulevard (I detest parking structures). It was a little farther than theACC parking structure, about a 5 minute walk at most, but I didn’t have any problems getting caught in exiting traffic. There’s ample parking in the area so that’s not a big deal. Everyone must have picked up their badge and goodie bag on Thursday or earlier on Friday morning because by the time I parked and arrived, at about 8:30am to 8:45am-ish, I pretty much just walked right up to the badge registration. 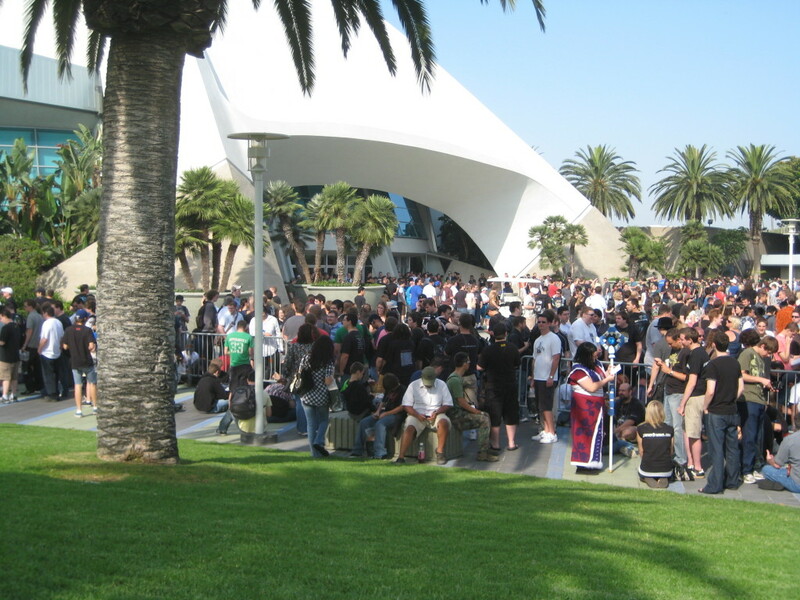 The line into the convention center on the other hand was long, it wrapped around and snaked to the back service parking lot, where I stood in the sun for about an hour until the doors opened. (Note to self, get there earlier >_>). 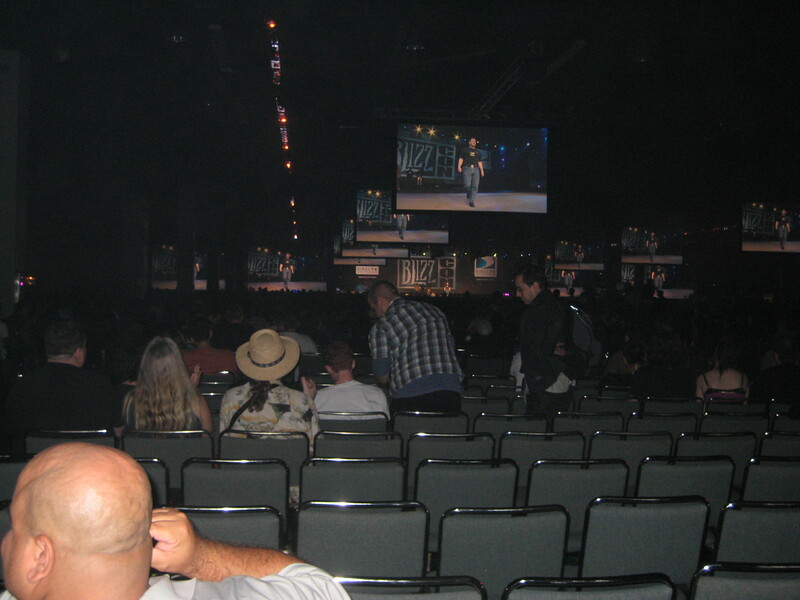 >WoW: Cataclysm and the Diablo III Monk class were announced at the opening ceremonies, which I ended up watching on the monitors in the gift line instead of the main hall. I rushed to the store as soon as I got into the convention center. Some friends told me that last year, unless you got into the line early, it was 4 to 6 hours long and they sold out of t-shirt sizes and popular items. Oh, nice dude with the German accent who I talked with in line the entire time: I should have gotten your email or something, I feel bad for leaving you hangin’ at the store. I attended the World of Warcraft Preview Panel, half of the World of Warcraft Art Panel (and half of the Diablo III Heroes and Monsters Panel), the Guild Panel and the World of Warcraft Discussion Panel on the first day. On the second day I attended the WoW Q&A, WoWPvP Discussion, WoW Dungeons & Raids and the WoW Class Discussion (much of this one was recap, but I needed to sit and eat). I did around half of the goodie bag promotional events (and won a T-shirt at the Razor booth. So so close to winning a new mouse). I probably should have, but didn’t bother standing in any of the demo lines for Cataclysm,Diablo III or StarCraft II; I figure that since I am 100% sure that I am pre -ordering each and every one of these, it’s no big deal. Well, that and the fact that I have a general dislike for unnecessary lines. I also had a chance to meet-up with a guild mate, server mate as well as a good friend whom I haven’t seen in years! Unfortunately, I didn’t get to attend my realm meet-up. 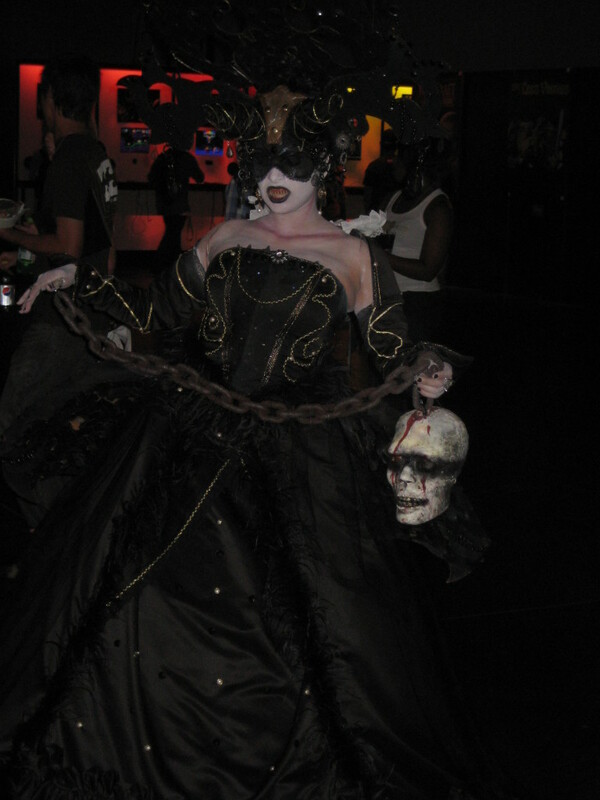 Bloodlust was scheduled to meet on Friday at 7pm, but the costume contest began at 6pm. I had a decent seat and didn’t want to miss anything (we were also having trouble reserving seats, the main hall was packed). I also figured that many people would also probably skip the meet-up to watch. The costumes were great, some of the contestants must have spent months working on them. Lessons learned: Go out to eat, don’t get the convention food unless you want a $7 ham and cheese sandwich. Bring water: Con water costs $3. Also, if you open your water bottle in line, there’s a chance that the security people at the door will make you throw it away. It depends on who I guess. Snacks are good to have, I brought snack packets of fruits and nuts from Trader Joe’s. Also, half of my messenger bag on Friday was taken up by a light jacket that I ended up not using. The building was comfortably air conditioned but not freezing cold. I bought a pack of earplugs for the closing ceremony but didn’t use them because I wanted to chat with people. I am thinking that was kind of a mistake…/half deaf afterward. 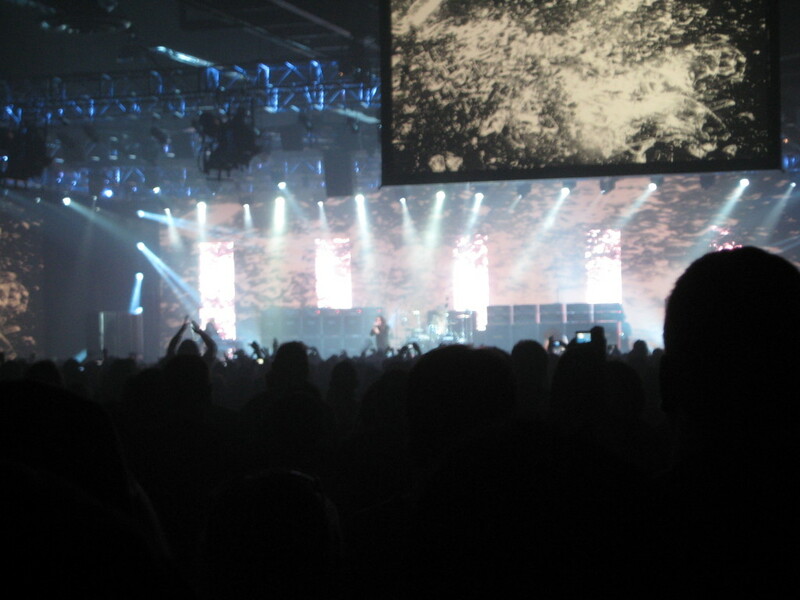 I’m not all that familiar with Ozzy’s discography, but I thought that both he and L80ETC were very good. Hung out afterward until closing time and then drove back home. Overall, BlizzCon was an absolute blast.